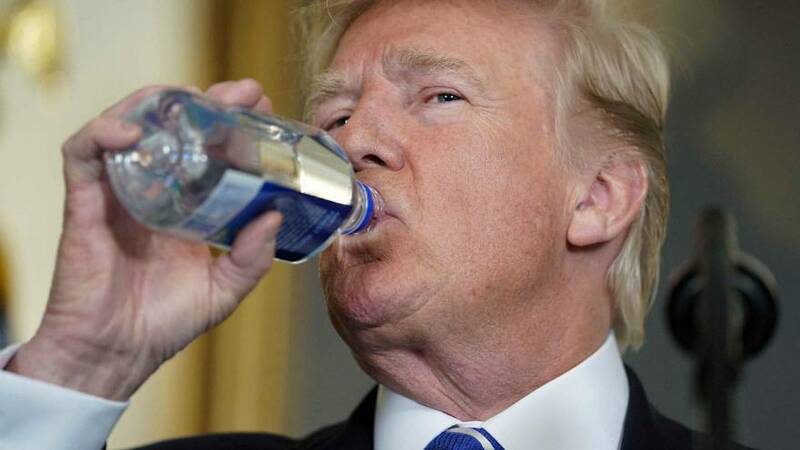 President Donald Trump has experienced his own “water bottle moment” during a televised address recapping his completed trip to Asia. His searching for some water to relieve a dry mouth has evoked memories of an address given by Florida Senator Marco Rubio when once he grabbed awkwardly for a drink from a water bottle. Trump mocked him remorselessly during the 2016 presidential campaign calling him “total choke artist”. Rubio has already responded on Twitter to say that the president needed to work on his form. Trump’s incessant mocking of Rubio last year has now come back to haunt him lighting up social media for all the wrong reasons.